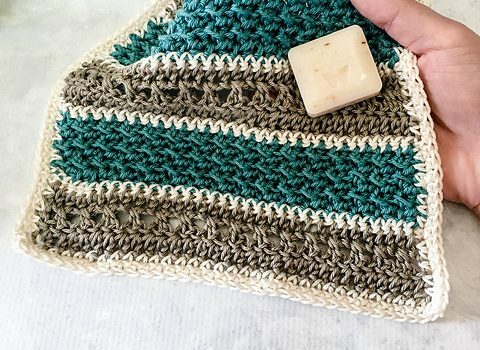 This simple, beautifully textured washcloth is a great portable project and a light weight pattern. 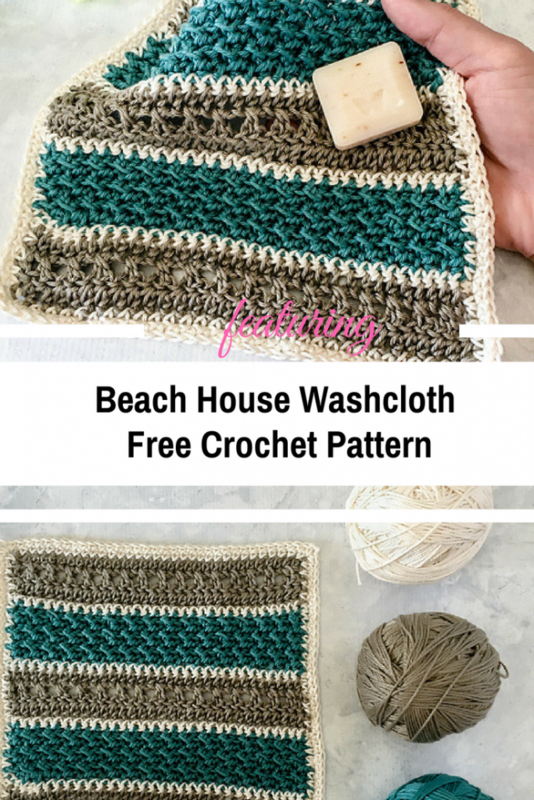 Featuring classic beach colors, this Beach House Washcloth by Megan Meyer is the perfect crochet project to work on when it’s still hot outside. This fun, easy project for an advanced beginner is a great pattern, really simple and elegant. This pattern is an advanced-beginner level crochet pattern. The abbreviations used in this pattern include: ch, sl st, SC, HDC and DCX. Special stitches include detailed stitch descriptions. This pattern requires approx. 1.3 of Cascade Ultra Pima Cotton Yarn (colors pictured: Silver Sage, Natural, and Dark Sea Foam). You will also need a 4.5mm crochet hook. Check out the original source for this Simple, Beautifully Textured Washcloth Free Crochet Pattern with all the directions and full written pattern at:Left in Knots. [Free Pattern] Simple And Fast Technique To Make The Cutest Chunky Ribbed Slouch Hat Ever!